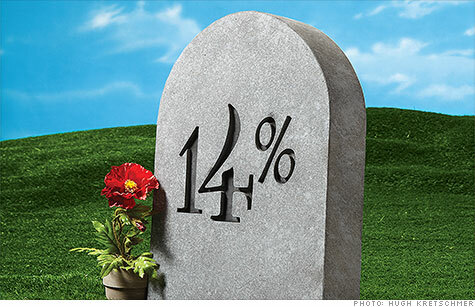 Only 14% of baby boomers' parents feel they owe their kids an inheritance. (MONEY Magazine) -- Where there's a will ... there's not much money these days. Only 14% of baby boomers' parents -- down from 22% in 2005 -- feel they owe their kids an inheritance, reports Allianz. Instead, they're spending the remains of their savings on health care and good times with the family. "Culturally, the idea of a legacy has disappeared for all but the very wealthy," says Hendrik Hartog, author of "Someday All This Will Be Yours." For adult children: Lower your expectations. While more than half of parents still hope to leave $100,000 or more, their expenses and market returns may intervene. "An inheritance is like Social Security," says Manhattan planner Kathy Boyle. "It's been underfunded, so don't count on it." For parents: Discuss where your money will go and why, and how much there is. That addresses parents' top priority for wealth transfer: minimizing conflict. "Families that keep everything close to the vest are a train wreck waiting to happen," says Kansas attorney Kyle Krull.